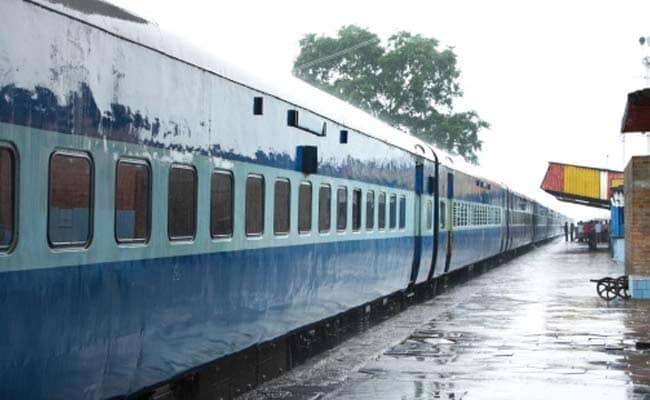 New Delhi, Jul 24 : In a major blow to passengers in the north-east, the top official of the watchdog for Railways safety has declared the Haflong - Silchar link as dangerous for public travel. The Commissioner of Railway Safety who inspected the crucial rail link last month has warned that the "Line cannot be opened for passenger traffic without danger to travelling public". The observations are part of a report by the rail safety department, a copy of which is exclusively with NDTV. The report also says that despite existing serious issues with safety, the commissioner of rail safety only relented to conduct the inspection last month following "persistent persuasion by Railways"
What is worrying is that barely 4 months after the line was thrown open for goods trains, there have already been 9 derailments and at least 14 instances where the track has subsided. Rs. 5,500 crores have already been spent on the costly upgrade that has taken almost a decade to complete. Passenger traffic between the two stations was completely halted last year as the final section of this rail link was being upgraded from meter gauge to broad gauge, and the Railways had said that it would be reopened this year. In March, Railway minister Suresh Prabhu had also flagged off goods trains on this route by remote control. The report has "recommended that the railway administration engage experts in the field of get technology, structural engineering to critically review the present status and recommend suitable preventive measures". The Railways has an ambitious plan link all the state capitals of the north-eastern states by 2022, but it appears to be a difficult task. The difficult mountainous terrain is also prone to landslides. Last year, Prime Minister Narendra Modi had focused on improving connectivity to the North-east region, announcing Rs. 28,000 crore for laying new railway lines.